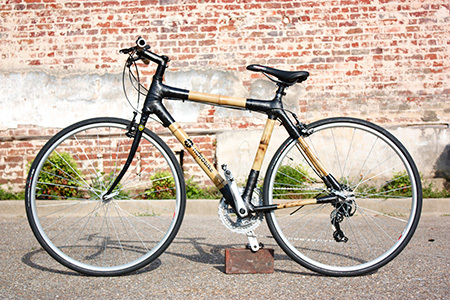 The HERObike staff is coming to Shakerag to provide a class for anyone, from a novice to a bike veteran, to get your hands dirty building a custom bamboo bike frame. The HERObike staff will assist and guide each workshop participant through every step of the bike building process so that each person can create either a road bike frame or a beach cruiser/coaster bike frame. We will supply all the tools and materials, and the class will be limited to 8 participants to allow for real hands-on instruction from the HERObike staff. The class fee for this particular class is $299, in addition to regular Shakerag tuition/meals and housing fees. Participants may choose to purchase the jig which is used for an additional $450. 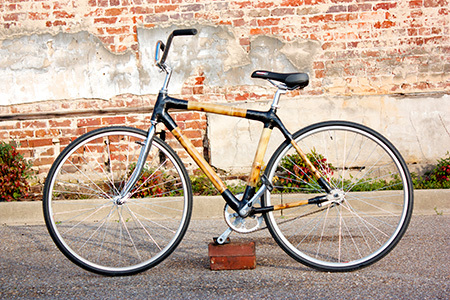 Apply a final coat of finish to protect your bike frame. When registering, each participant should also send an email (to info@shakerag.org) to place an order for the type of bike you want to build: the beach cruiser offers a more relaxed and upright ride, while the road bike is a more agressive frame. Once a participant has received confirmation of registration at Shakerag, HERObike will work with you to select the correct frame size & geometry based on your measurements. HERObike will also help you select the best components (based on budget, riding style, etc…) - or you can use ones you bring yourself! Components will all be purchased separately but could be installed at the end of the week-long class, if you have completed your bike frame early, or after the class has concluded. The total cost of your bike will be based on the style and components used, but the basic frame is included in the $299 class fee. Hale Empowerment and Revitalization Organization (HERO) works as a catalyst for community development in the Alabama Black Belt to end rural poverty. HERO began in 1994 by a group of committed citizens who wanted to create a strong community focused on family. As a 501(c)3, HERO provides job training, affordable housing, and economic development to build strong communities. In 2004 the HERO Housing Resource Center was added. The Housing Resource Center at HERO now owns 5 small businesses (including HERObike), helped to start a total of 11 small businesses, and runs HEROhousing. HEROhousing builds affordable housing for home ownership, lease purchase and rental. The young designers with Project M, led by John Bielenberg, began HERObike in partnership with HERO in 2009. With the support of Bamboo Bike Studio, HERObike has grown through the years, and as we look to the future, we are excited to see where the vision of Lance Rake’s innovations through the University of Kansas - Industrial Design Department will take us in the future. Everything the participant needs for a bike frame will be in the kit HERObike will supply. Participants will only need to wear old work clothes that will get dirty.